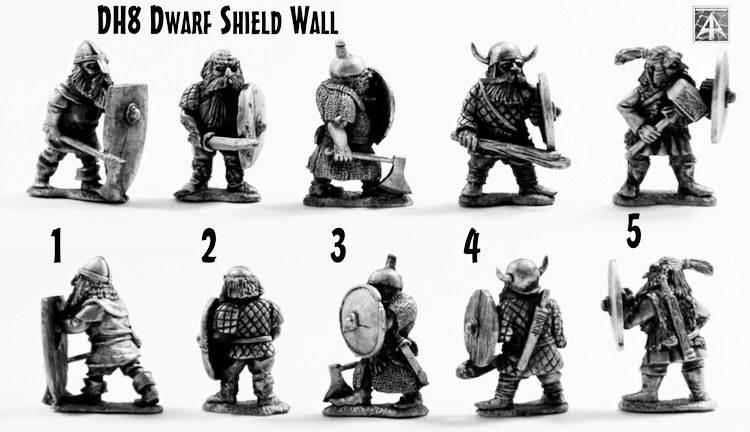 DH8-01: Dwarf with Shield and Axe. DH8-02: Bareheaded Dwarf with Sword and Shield. DH8-03: Dwarf in mail with Axe and Shield. DH8-04: Dwarf with Club and Shield. DH8-05: Dwarf with runic Hammer and Shield.